In 1985, I published a book called The Tragedy of Zionism. It argued that the Zionist movement had been a good, largely secular and cultural revolution that had run its course, that is, with the founding of Israel and the consolidation of the national Hebrew culture; but that the residual institutions and theories of that revolution—rashly kept alive by Israel’s leaders, who feared the fight with the orthodox Jewish parties over a constitution—had grown to be a burden on, even a threat to, Israel’s democratic life. I argued that it was this unretired Zionist revolution—embodied in the Zionist land bureaucracy: the JNF, the Israel Land Administration, the Jewish Agency, etc.—that set the table for the post-1967 settlement movement. The Israel I had discovered, in other words, was not simply a valiant little country whose Labor leaders had (heroically) stumbled into an occupation post-1967 and, owing to Palestinian enmity, didn’t know how to get rid of it. It was also a country whose Labor leaders, post-1948, had laid a neo-Zionist trap for their own democracy. Communities of scripture hawks, ultra-orthodox and immigrants with no deep commitment to democratic norms were overtaking the Zionist modernists I had taken for granted. The West Bank settlements, growing in the 1980s to 100,000 people, were the most dramatic proof of Israel’s democratic deficiencies. But so was its treatment of Israeli Arabs, or more precisely the absence in Israel of the kind of liberal social contract that allowed all citizens, Jews and Arabs, to meet as equals in Hebrew civil society. The book caused something of scandal, for which I was not entirely prepared. I was a young, reasonably well-published writer, the kind invited to address the national conference of Hillel rabbis in 1981. I thought I would be protected by historical precision, reputation, syllogism and sincerity. More important, I assumed that, because democratic norms were an essential part of what made Jews Americans, they would (so a young writer hopes) read my book, rally to Israel’s liberal, emancipationist peaceniks, and oppose Israel’s Likudniks, halakhic extremists and settler-nuts, in that order. Things did not work out as planned. On the whole, Israelis who read the book approved or disapproved of its thesis on its merits. If they got personal, it was not because I was left but because I had left. In America, the organs of organized American Jewish life denounced me. I was blacklisted by Hillels and synagogues, described as either naïve or inclined to self-hatred, the kind of charges no sane writer can easily refute; a key higher-up in MIT’s administration blocked my tenure. It finally dawned on me that I had missed the point. American Jews who proclaimed their friendship to Israel most noisily could not readily imagine what it might be like to live there. So the ways democratic norms fostered tolerance for religious dissent, or contributed to resolving tensions between Arabs and Jews nonviolently—a peace process without end, after all—did not seem a priority. What did matter was managing Israel’s brand. The goal was securing Israel’s moral prestige and being associated with it. Israelis did not have friends, “Israel” had fans. Of course I am remembering this response to my own book this week because of the anxious reactions to Peter Beinart’s Crisis of Zionism. His book is very different from mine. 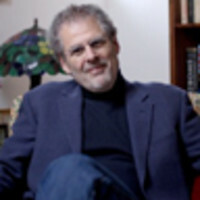 But the pattern in the American Jewish community and blogosphere seems to me entirely recognizable: disregard the thesis, imply a motive of opportunism or narcissism or both, make invidious comparisons to other critics, pick nits, hammer away at the indecencies of Israel’s enemies—in short, resort to garden variety demagogy to discredit the author. The question is: Why such an inability to engage respectfully? I won’t go into the specific attacks on Beinart here—he has proven quite capable of handling them on his own—but they raise an interesting problem. Can “organized” American Jews really ever deal with Israel as a place like any place, albeit a Hebrew place, where democracy is needed to make room for the crooked timber of mankind? Or do they need Israel to be a cause, a triumphant abstraction, what Philip Roth once called a “counterlife”? Ask local Jewish leaders why they feel such urgency to hold on to what Ambassador Michael Oren calls the “mainstream” and they’ll tell you that it is because Israel faces “existential” threats. But, surely, all of us who write about the deficiencies of Israeli democracy do so because we fear what might be lost as well as hope for what might be gained. We take for granted a political struggle in Israel and that American Jews might, like Americans in general, support one side or another; that to venture an informed opinion you should, if not learn Hebrew, then at least marinate in the sides’ political discourse. Others will say that concern for Israel’s survival, love of Jerusalem, and so forth anchor American Jewish identity; that loving Israel is a kind of buttress against “assimilation,” and anything done to undermine Israel’s moral prestige undermines the élan of American Jews, particularly among young people. It is no good to protest that loving Jerusalem is not a substitute for loving in Jerusalem. Too often, along with this solidarity is a kind of passion play, played out yearly in the Church of AIPAC, where Israel is the resurrection, the “six million” are the crucified, the Nazis are the Romans, etc., and moral innocence derives from joining the flock. Beinart’s most salient argument is that young people are more turned-off by survivalist talk than drawn to it. They can sense, as my late friend (a survivor of the Plashow camp) Ilona Karmel once put it, that American Jewish leaders have scars but no wounds. Anyway, what’s really intriguing is the obvious sincerity, and inside-outness, of the approach. Jews will survive for the sake of being Jewish, they will not be Jewish for the sake of “survival.” And being Jewish, as Beinart’s poise and pedigree implies, means being in command of the literatures, practices, and habits that make up a seriously Jewish way of life, a life that most of his detractors have abandoned. This is the heart of the issue, I think. The mainstream “Zionism” Beinart has run afoul of is a prestige American Jews hang onto when thick forms of Jewish life have withered away. It is so stridently defended, and reinforced with incurious political loyalty, precisely because it is so abstract, so thin, so wrapped up with notions of fidelity to parents and resistance to evil. Beinart is said to be cavalier about Jewish survival, his “liberalism” an opening to defeat and assimilation. Perhaps it is time to recognize that the conspicuous declarations by many Jews of concern for “survival,” for “solidarity,” are less resistance to assimilation than a symptom of it.